Groups: Join or Create your own groups, for special projects, etc. Blogs: Articles on strategy, tactics or your AARs. If you want to be a contributor - let us know! Forums: All those regular discussion you always wanted to have. Like in our old site. XCOM 2: War of the Chosen - Tactical Legacy Pack is now available on PC, Mac and Linux. As a gift to the fans, the XCOM 2: War of the Chosen – Tactical Legacy Pack will be available for free to all owners of XCOM 2: War of the Chosen until 12:59pm ET on December 3. If you're having issues downloading the DLC, please restart your Steam client. This content requires ownership of both the base game XCOM 2, as well as the XCOM 2: War of the Chosen expansion. Don't own War of the Chosen? Well, now's the time to buy! The expansion to the 2016 award-winning strategy game of the year is now on sale on Steam! In addition to that, XCOM 2 is currently FREE TO PLAY right now on Steam! Have a friend who has yet to try XCOM 2? Now's the best time to get them in on the experience, with massive discounts extending across the game and all of its DLC. - Blast from the Past – After the fall of XCOM HQ, Central Officer Bradford begins his journey to build the resistance by returning to where it all began. - It Came from the Sea – The broadcast of a fledgling radio DJ is reaching an audience he didn’t intend. It’s up to Central to save the DJ from an endless horde of hungry listeners. - Avenger Assemble – Join Lily Shen as she works to retrofit the Avenger into a new home for the growing forces of a reinvigorated XCOM. - The Lazarus Project – ADVENT is kidnapping key members of the resistance, and it’s up to Central to rescue some of XCOM's most renowned operatives. 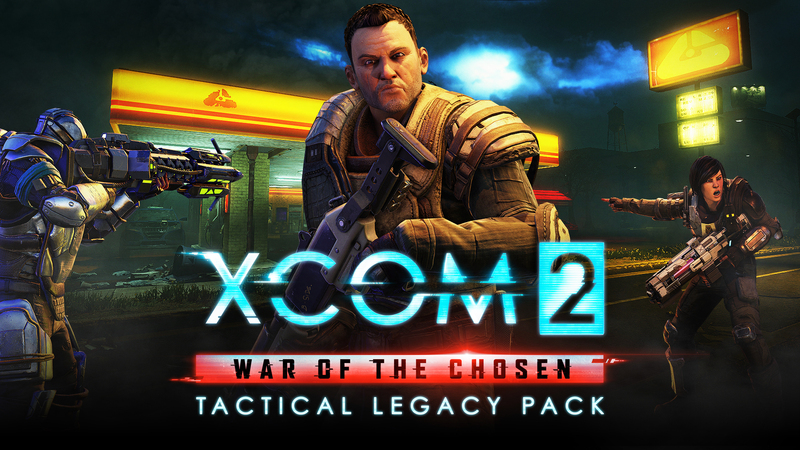 The Tactical Legacy Pack DLC requires ownership of both the base game XCOM 2, as well as the XCOM 2: War of the Chosen expansion. The DLC will be free on PC for all owners of XCOM 2: War of the Chosen until 12:59pm ET on December 3, 2018. After this point in time, the DLC will go on sale for $7.99. The Tactical Legacy Pack will also be added to the XCOM 2 Collection, though this will have no effect on the price of the XCOM 2 Collection. Be sure to follow XCOM on social media to keep up to date with the latest information. Subscribe to our YouTube channel for Inside Looks at new characters and enemies, features and insights from the development team! New DLC is coming! Next Tuesday, October 9, 2018, we’re launching the XCOM 2: War of the Chosen – Tactical Legacy Pack DLC on Steam. This DLC will be free to download for all owners of XCOM 2: War of the Chosen on PC on Steam until 12:59pm ET on December 3, 2018. 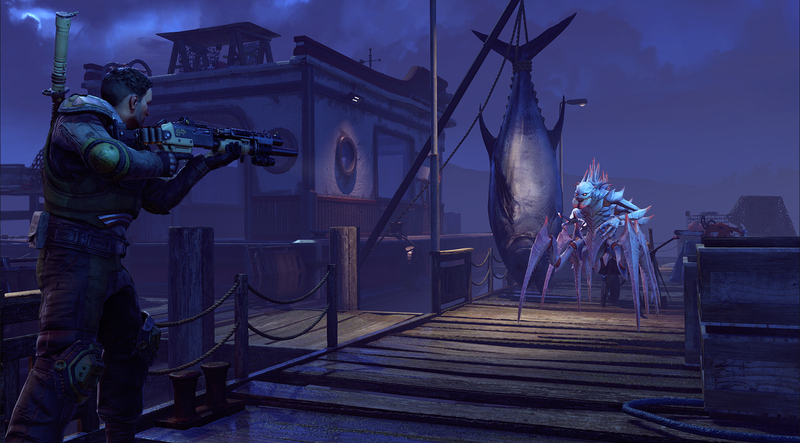 The XCOM 2: War of the Chosen – Tactical Legacy Pack DLC includes a collection of new game modes, maps, weapons, armors, Photobooth options, and more that honors the legacy of the XCOM series. In the video below, XCOM series Creative Director Jake Solomon talks about the inspiration behind this DLC, and offers details on all of the content offered within. Kommt XCOM 3? Es scheint so, denn darauf deutet eine Stellenausschreibung des Entwicklerstudios Firaxis hin.